This paper addresses the possibility to build on the success of digital development in order to design messages that will be seen by individuals as being the most relevant to the object being addressed. 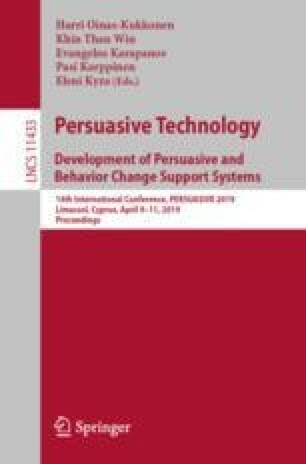 By studying the social representations status as well as ergonomic features of interfaces like the information elements’ location and the color of background, we tried to determine whether persuasive technology can be a particularly effective medium to achieve favorable attitudes and behaviors towards organ donation. We recorded participants’ ocular activity and administered them a self-reported measures questionnaire. Results show several significant effects, particularly on attitudes, intentions and behaviors. We demonstrate that to increase the persuasive impact of a message, it is better to mobilize central elements of the social representations of the object being treated and to place these elements in the middle of the screen. The blue background screen did not show the expected effects. However, regarding to the interaction between social representations’ status and background’s color, it seems that white is more appropriate than blue for technological persuasion. In the end, this research contributes to propose optimization tracks for public communication though technologies, for example in fields of health, commerce, education, environment, professional efficiency or social media marketing.